The Proteas’ chances of bouncing back against Australia will hinge on their ability to post more top – and middle –order partnerships of substance. 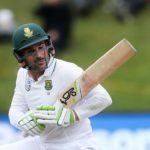 Dean Elgar’s innings of 86 not out in volatile conditions at the Wanderers is our Play of the Day. 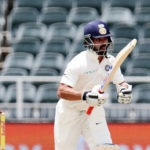 India ripped through the Proteas batting order late on day four to claim a 63-run victory at the Wanderers. 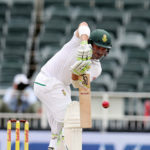 The Proteas were 136-3 in pursuit of 241 at tea on day four at the Wanderers. 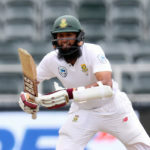 South Africa need 172 runs to win following a solid display by Dean Elgar and Hashim Amla in the first session on day four at the Wanderers. 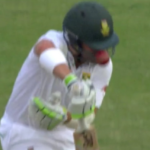 South Africa were 160-8 in pursuit of 241 on day four at the Wanderers. 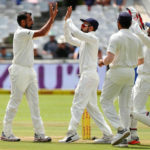 India must be the favourites to claim nine wickets on an explosive pitch and win the match on day four at the Wanderers. Ajinkya Rahane’s courageous knock of 48 on an explosive Wanderers wicket is our Play of the Day. 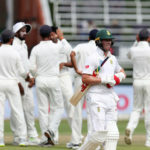 South Africa were 17-1 in pursuit of 241 when play was suspended due to the dangerous pitch conditions at the Wanderers. Ajinkya Rahane scored 46 not out to boost India’s lead to 192 at tea on day three at the Wanderers. 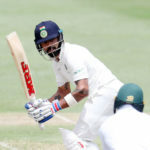 Virat Kohli guided India to 100-4 at lunch on day three at the Wanderers. 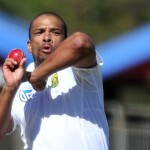 The Proteas need to be more assertive with the ball during the initial stages of day three at the Wanderers. 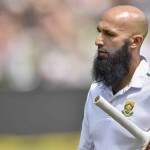 Hashim Amla scored a crucial half-century on day two at the Wanderers to keep South Africa’s chances of beating India alive. 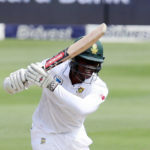 South Africa were 143-6 and trailed by 44 runs at tea on day two at the Wanderers. 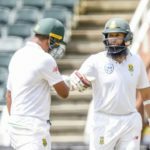 Kagiso Rabada and Hashim Amla overcame the challenging pitch conditions to boost South Africa to 81-3 at lunch on day two.